Moving is one of the top stressors in life, no matter how many times you do it. For this reason, it is crucial to plan everything in advance. However, the truth is that there are still certain things that you simply cannot plan for, and one of them is the weather. Wind, rain, snow, and sleet can make even a perfectly coordinated move really hard. What is even more important, various weather elements can easily damage or ruin your possessions. Besides, what if you are moving art work? What if it is a valuable painting or your priceless family heirlooms? How to prepare for the worst case scenario and protect your precious belongings? If you are moving art work of any kind, the following tips are right for you! 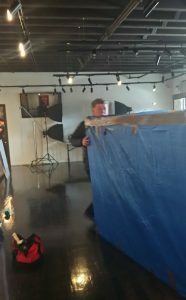 First of all, it should be noted that the best you can do to protect your artwork in transit is hire a professional company specializing in moving and shipping fine art. At Fine Art Shippers, we can provide you with a whole range of art and antique moving services in NYC and nationwide, all available at reasonable prices, so do not think that moving art work professionally will cost you a fortune. We work with different clients and can offer a cost-effective moving solution to any situation. 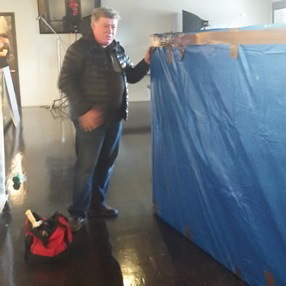 Secondly, when moving art work in bad weather, it is of utmost importance to ensure that it is properly protected from any moisture, especially during winter months. Thus, in addition to the standard procedure of art packing, you should also put your artwork in special waterproof plastic and carefully seal it from all sides. Keep in mind that there should not be any holes, or you risk damaging your treasures. consider hiring professional art packers for this job. Whether it comes to antique furniture, a vintage piano, a collection of paintings, or a grandfather clock, moving art work of any kind always requires care and attention to detail, especially if the weather is not on your side. So plan ahead, be prepared for any conditions, and opt for professional artwork moving help to avoid any untoward incident!